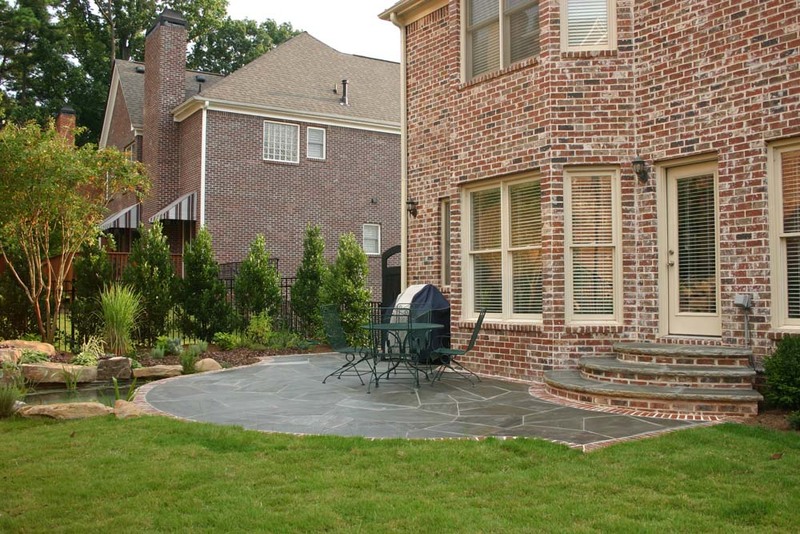 Working from a basic builder back yard with a deck and virtually no plantings, we created a completed different setting for this homeowner. 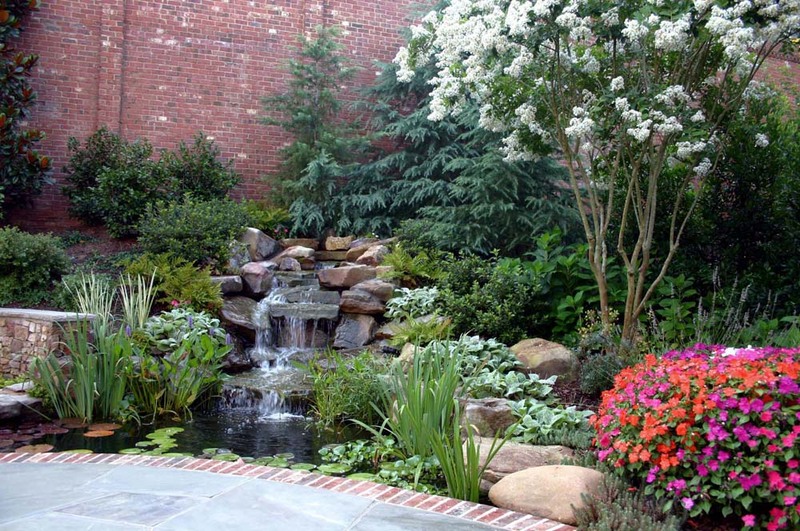 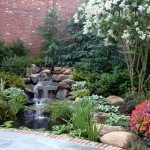 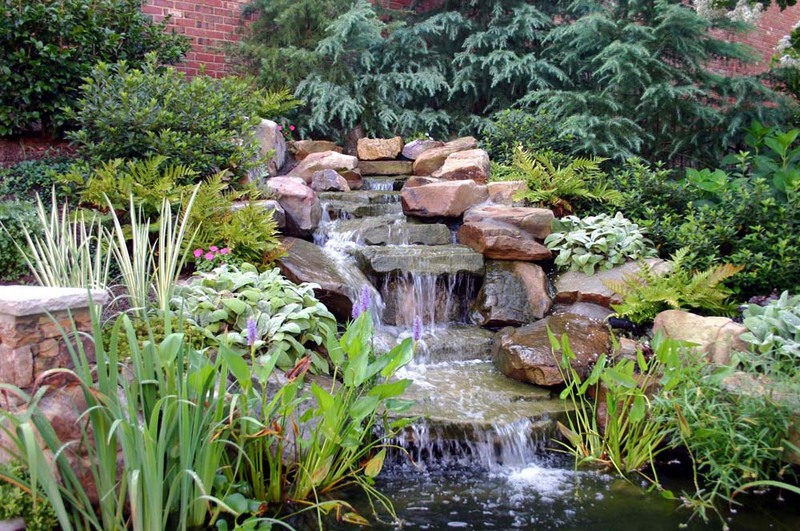 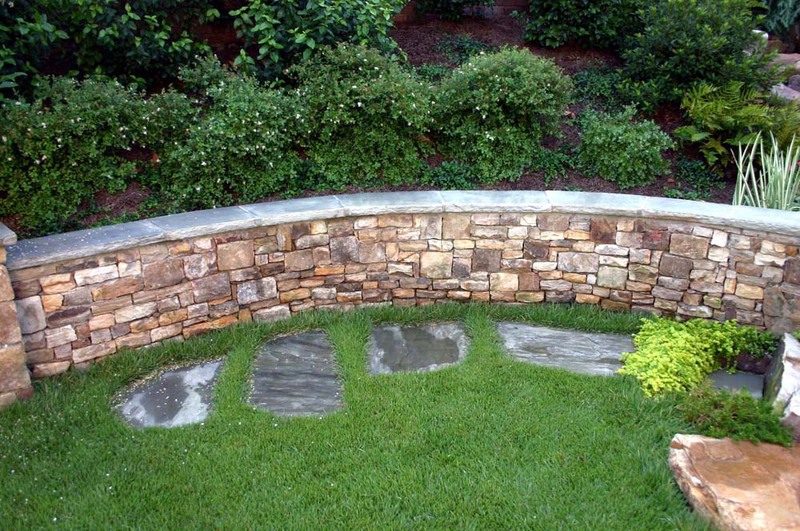 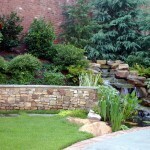 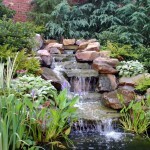 Incorporated into the design were waterfalls and a koi pond that came right up to the edge of the back terrace and stone seat wall. 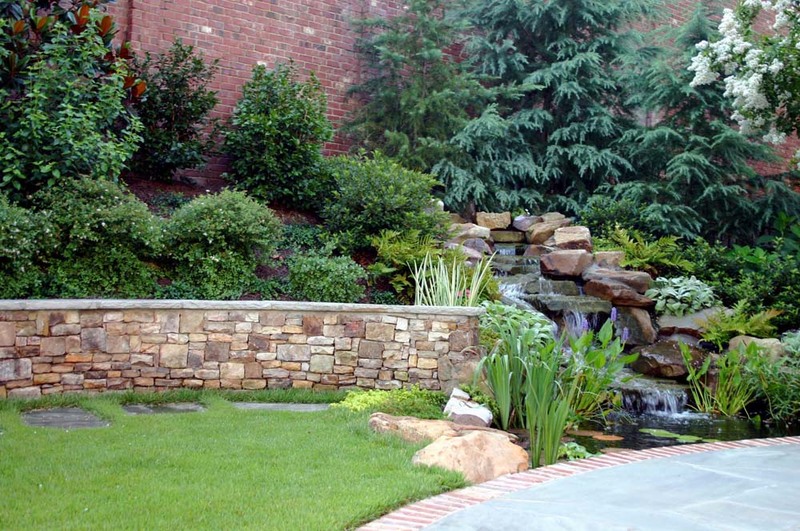 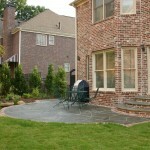 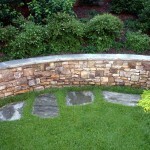 Plantings and lawn areas soften the edges and created a back yard oasis for the homeowner.